Diet diary: Chicken in our diet: How safe is it? 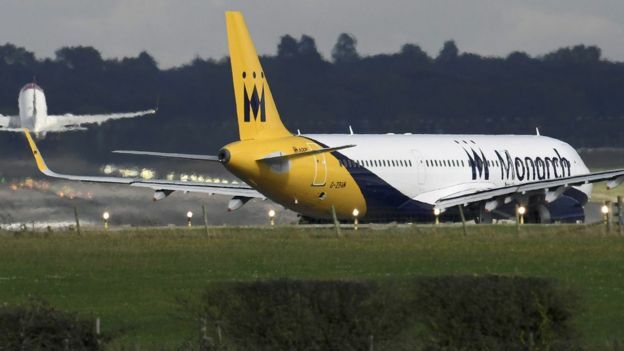 UK airline Monarch has settled worries over its immediate future by agreeing a £165m investment from Greybull Capital. The fresh financing has allowed the airline to renew its membership of the Air Travel Organisers’ Licensing (Atol) scheme – the scheme that refunds customers if a travel firm collapses. It also means the airline can invest in new aircraft. Greybull Capital is Monarch’s majority shareholder and is also known for itsinvestment in Scunthorpe’s steelworks. It bought a majority stake in Monarch in 2014, with an investment of £125m. “It is testament to the extensive effort by all parties, over the past weeks and months, that we are able to announce the largest investment in our 48-year history, as well as the renewal of our Atol licences,” said Andrew Swaffield, chief executive of the Monarch Group. In October 2014, Monarch announced an order for 30 of the latest Boeing 737 jets, with an option to buy 15 more. It expects to take delivery of the first of those in 2018. After three weeks of drama, Monarch lives to fly another day. How long the holiday airline retains its independence, however, remains open to question. This morning’s bailout – there is no detail on what form the extra £165m from owners Greybull Capital will take – is enough to satisfy the Civil Aviation Authority, but will not remove doubts about its long-term prospects. The airline’s strength in flights to the western Mediterranean, Egypt and North Africa has become its Achilles’ heel as terror attacks have dented demand to those destinations. On top of those short-term trading challenges, Monarch remains caught between the big low-cost airlines EasyJet and Ryanair, and the in-house airlines owned by the big tour operators including Tui and Thomas Cook. Securing the company’s future will require to find a profitable niche that it can defend from both those types of voracious competitors. The alternative may be a merger with a rival.